Unfortunately, even the gentlest breeze blew the 1-gram Insectothopter off course. It’s unclear if the laser guidance and data link were ever implemented. In any event, the UAV never flew an actual spy mission. Why fashion it after that particular insect? Dragonflies are nimble aerialists, able to hover, glide, and even fly backward. They can turn 180 degrees in three wingbeats. 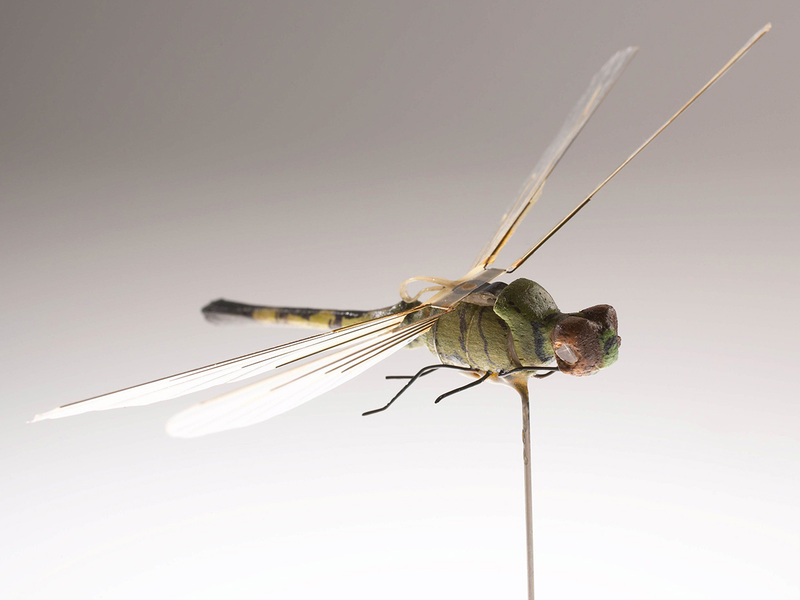 The Insectothopter’s 6-⁠centimeter-long body and 9-cm wingspan were well within the range of an actual dragonfly’s dimensions. Plus, dragonflies are native to every continent except Antarctica, so their presence would be unremarkable, at least in the appropriate season. Me, I wonder if the CIA designers had another influence: The sci-fi YA novel Danny Dunn, Invisible Boy. It came out in 1974 -- right around the time that the CIA was making that invention -- and it's the story of an inventor who creates a dragonfly-shaped drone that contains a tiny camera and microphone, and is piloted by a user who wears a VR-style headset. I wrote about the novel a few years ago, because it was amazingly prescient about the civil dangers of omnipresent high-tech governmental spying ... which makes it all the more eerie, of course, that the real-life CIA was pursuing precisely this tech.